Computer resources-friendly - perfect for laptops, ideal for notebooks. 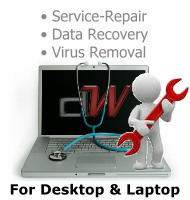 Can be installed on the already infected machine and can cure the infected system. Very frequent updates of virus bases - up to several times per hour! P133, 32MB RAM, 10 MB hard disk space, Internet connection, CD-ROM drive. with Microsoft Windows, beginning from Windows 95 OSR2 and to Windows XP Professional. computer resources which makes it indispensable in outdated computers of older generations. and curing of polymorphic viruses. additional utilities! During the installation the main computer memory and startup files are scanned. add-ons to the virus base, which takes just a few seconds. form of files, such as Slammer and CodeRed.